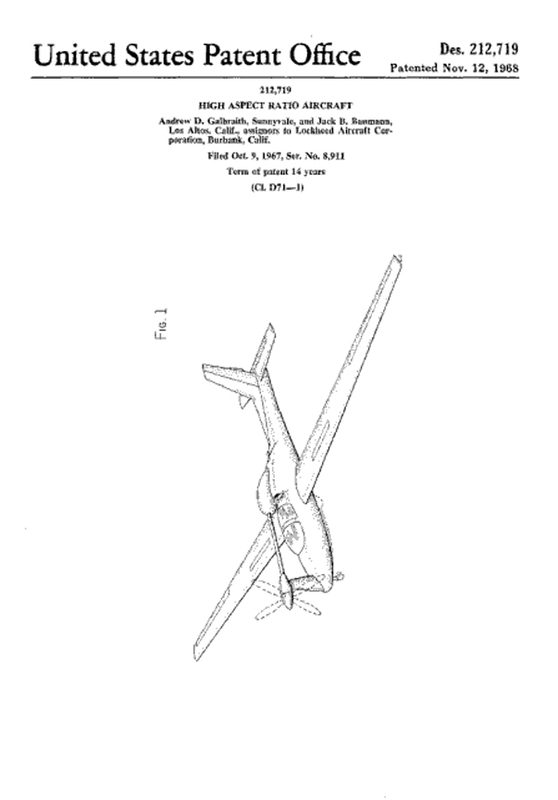 Our treatment of aircraft began as an account of my trials and tribulations in building a 1948 airplane model kit. 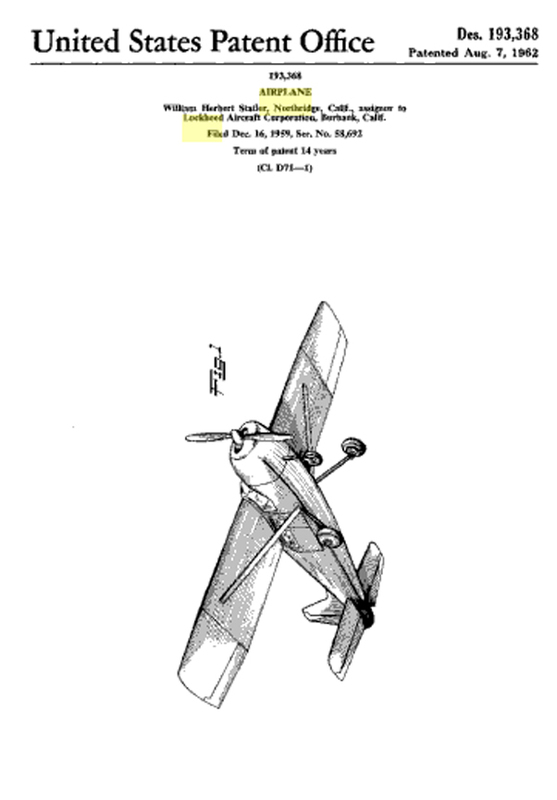 Since then, we have developed a wealth of patent diagrams for historic aircraft and found that the page was very slow in loading. 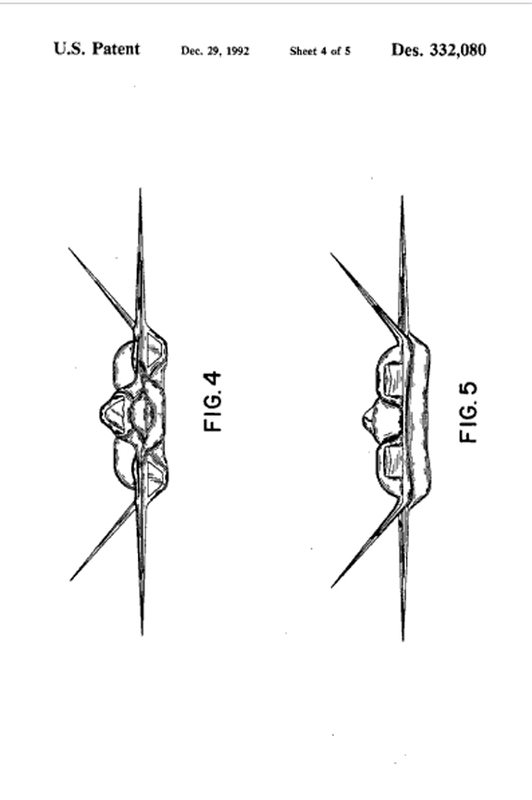 On November 25, 2009 we split the material into six segments, corresponding to the six boxes or "buttons" below. If you came in from a search engine looking for something very specific, click here for the Analytical Index that will enable you to find a specific topic. 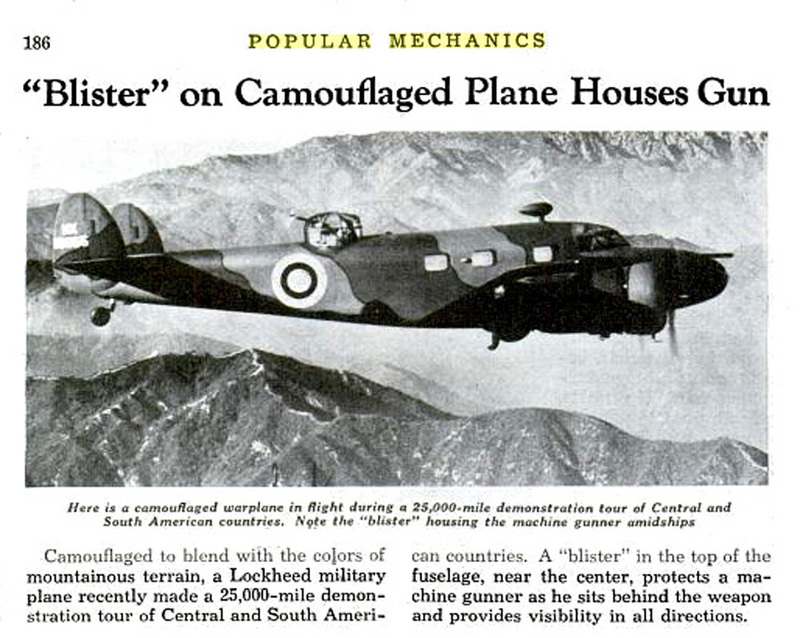 This is the Lockheed Page - click on a button if you want to go someplace else. Those of you who don't like buttons, may go to our analytical index to find just what you're looking for. Here is a guide to the contents of this page. Allan and Malcolm Loughead (pronounced "Lockheed") founded the Loughead Aircraft Manufacturing Company at Santa Barbara, California, in 1916 and built flying boats and biplanes. 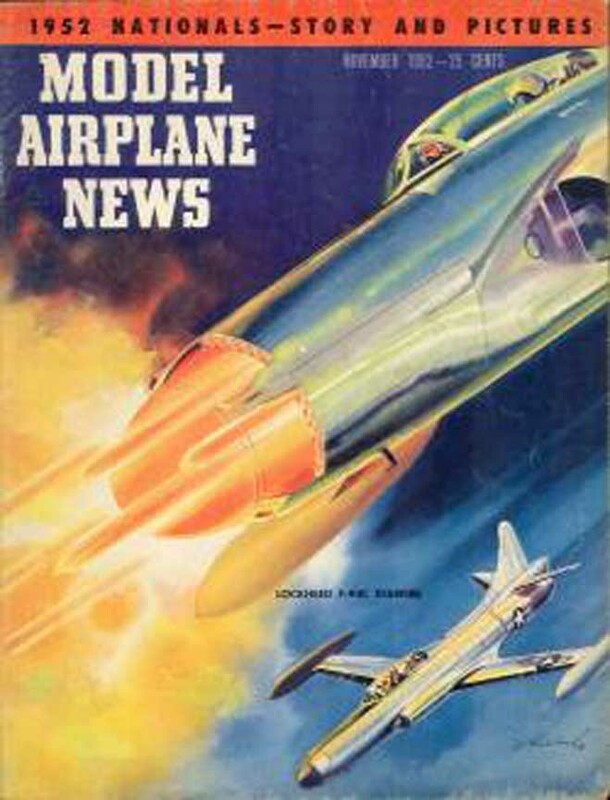 Moving to more phonetic spelling, the brothers incorporated The Lockheed Aircraft Company of Hollywood in 1926 and built a number of transport and single seat airplanes. 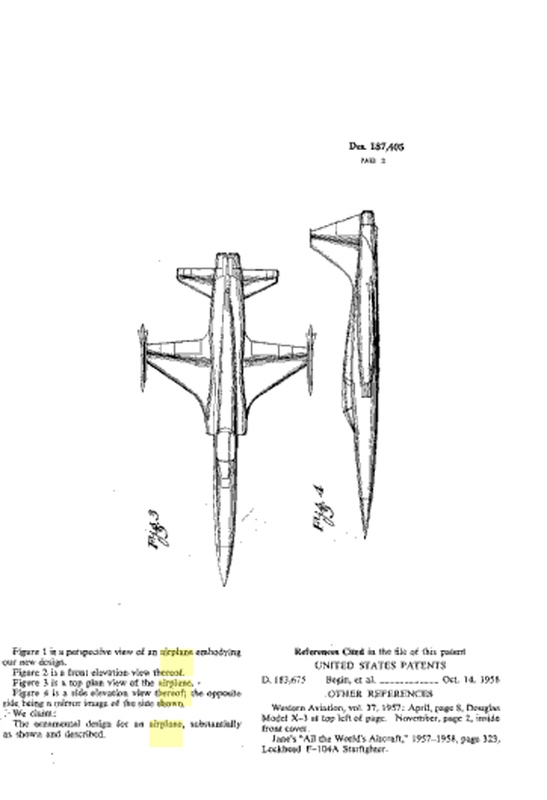 In 1929 Lockheed became part of the Detroit Aircraft Corporation, a multicompany body that went bankrupt in 1931. 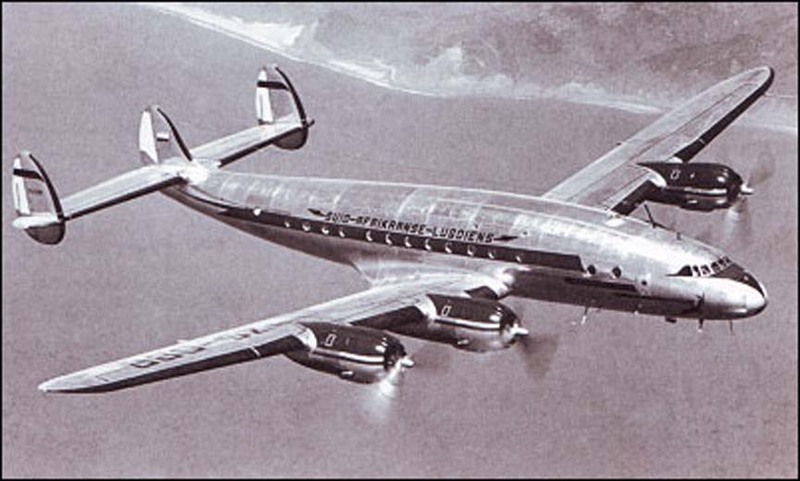 The Lockheed brothers left the company, formed Lockheed Brothers Aircraft Corporation Company and launched a new series of twin-engined transports, starting with the Lockheed 10A Electra. The RAF bought 250 bomber variants of the Electra, called Hudson. Lockheed's secret "Skunk Works" at Palmdale, California, was responsible for the U-2 spyplane and the SR-71A Blackbird Mach 3+ strategic reconnaissance aircraft. 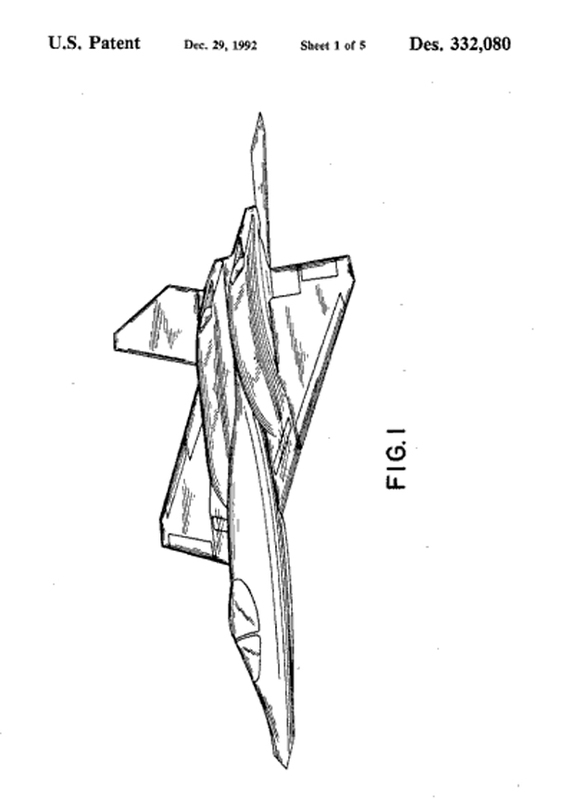 The facility als developed the F-117A stealth fighter for subsonic night attack. In March 1995 Lockheed Corporation merged with Martin Marietta to form present Lockheed Martin Corporation. 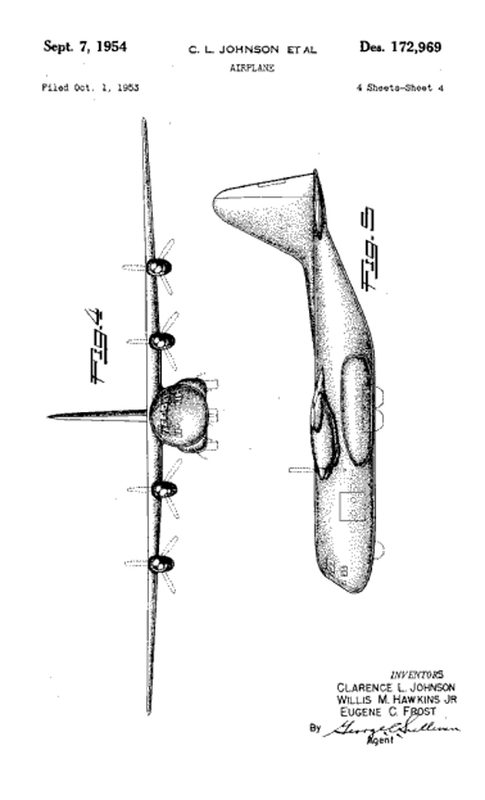 Lockheed's first major move towards becoming a significant manufacturer of transport aircraft came with design of the Lockheed 10 Electra. 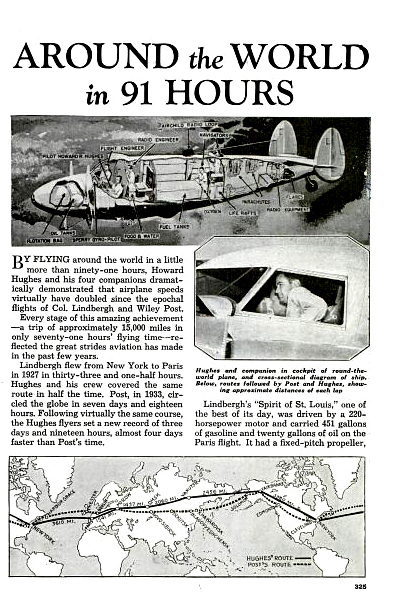 Providing accommodation for 10 passengers, the Electra was a cantilever low-wing monoplane of all-metal construction. The Electra entered service during 1934, initially with Northwest Airlines, and in the late 1930s was used by eight American operators.
. Small numbers also saw service in the Spanish Civil War. 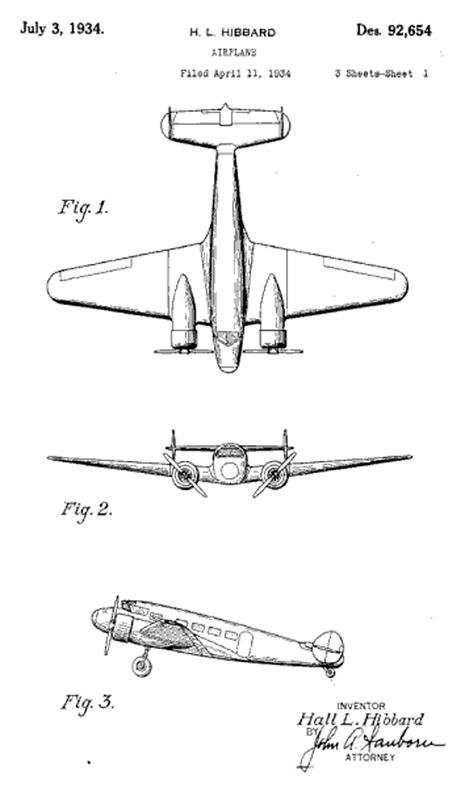 Patent Diagrams for the Lockheed "Electra"
Click Here to download a free copy of the "Round the World in 91 Hours"
Here is a video showing a restored Lockheed Electra. 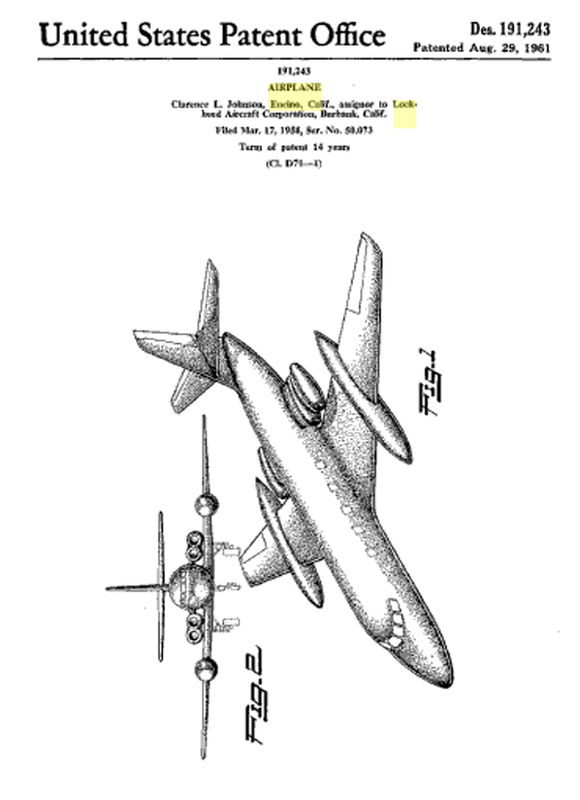 Click Here for more information about the Lockheed "Electra". 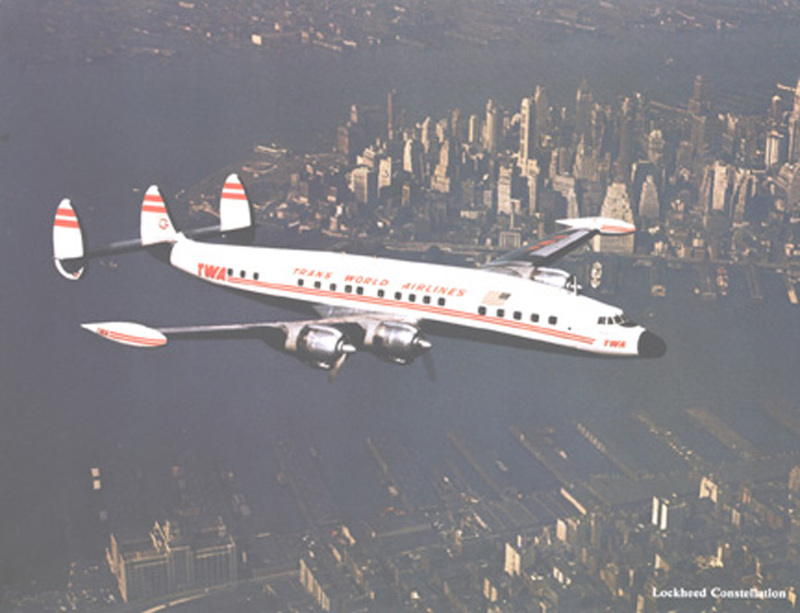 Design of the Lockheed L-49 began in 1939 to meet the requirement of Pan American Airways and Transcontinental & Western Air (which became Trans World Airlines or TWA), for a 40-passenger airliner for use on domestic routes. With the outbreak of World War II aircraft on the production line were commandeered for service with the USAAF as transports under the designation C-69. A total of 22 entered USAAF service. 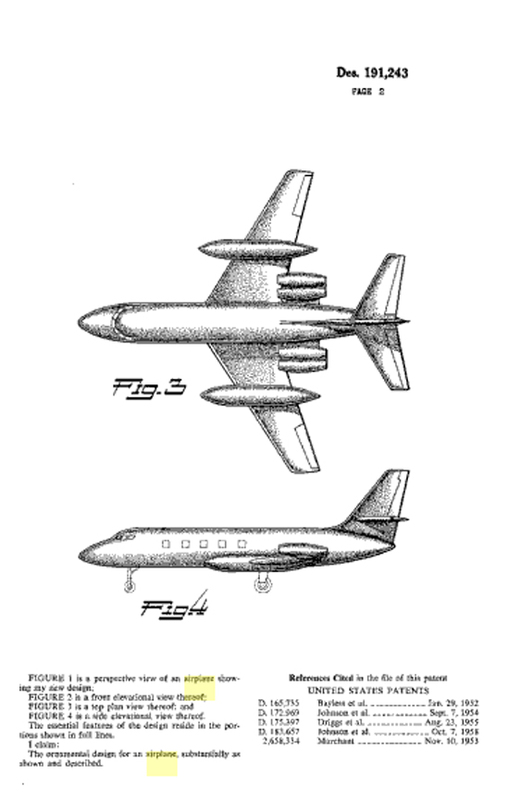 In 1945, production of civil aircraft then began under the company designation L-049 Constellation, using components that had been intended for C-69s, but with civilian interiors. 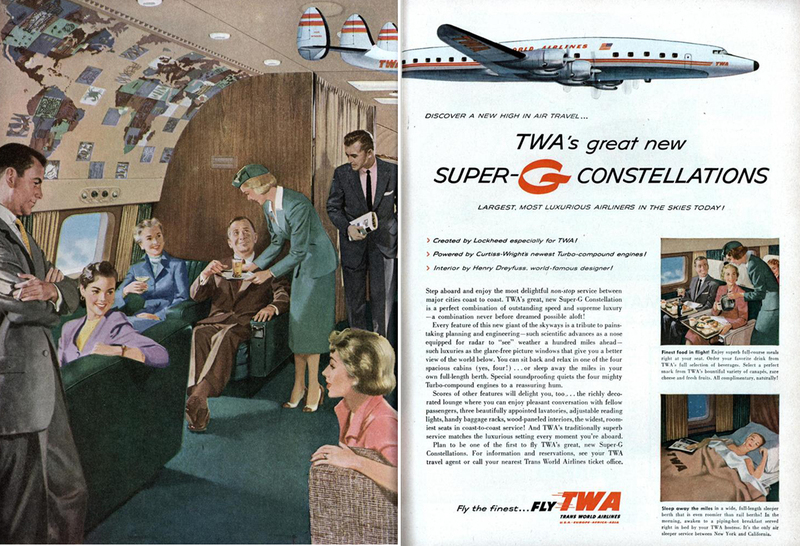 Click Here for more information about the Lockheed "Constellation". 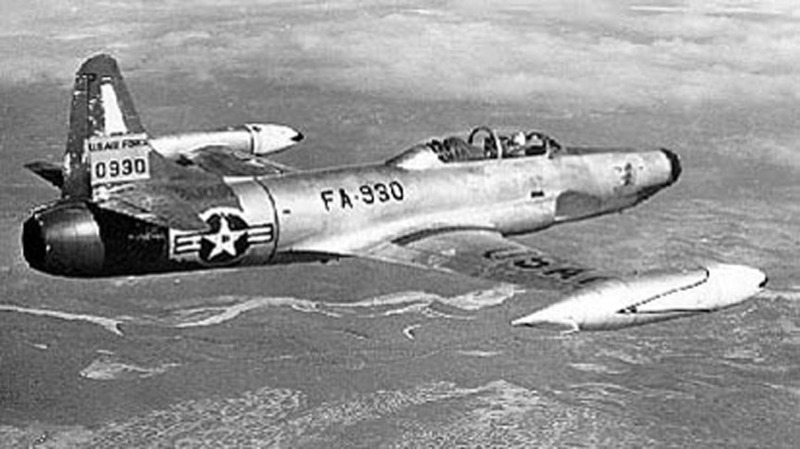 The Lockheed P-80 Shooting Star was the first jet fighter used operationally by the United States Army Air Forces and saw extensive combat in Korea with the United States Air Force as the F-80. As one of the world's first successful turbojet-powered combat aircraft, it helped usher in the "jet age" in the USAF and other air forces worldwide. One of its claims to fame is in training a new generation of pilots, especially in its closely-related T-33 Shooting Star trainer development. 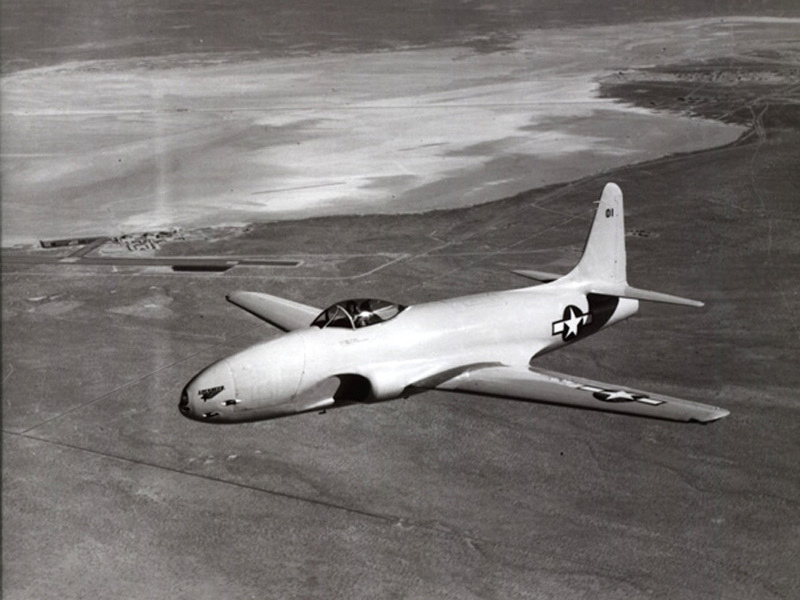 The XP-80 was a conventional, all-metal airframe with a slim low wing and tricycle undercarriage (landing gear). The P-80 was the first operational jet fighter to have its engine integrated within the main fuselage. Other early jet fighters generally had two engines because of their limited power and mounted these in external pods for easier maintenance. With the advent of more powerful engines, fuselage mounting was more effective and would be used by nearly all subsequent fighter aircraft. 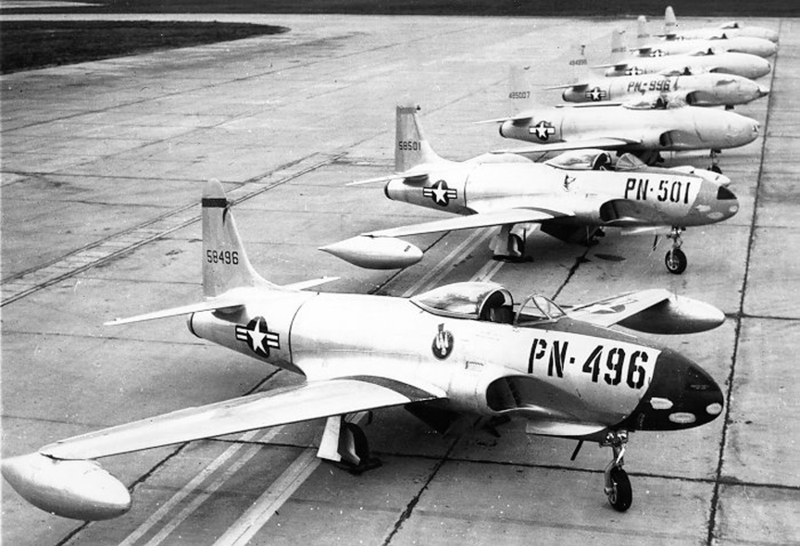 When the P-80 was introduced to the American public, it was an immediate success. 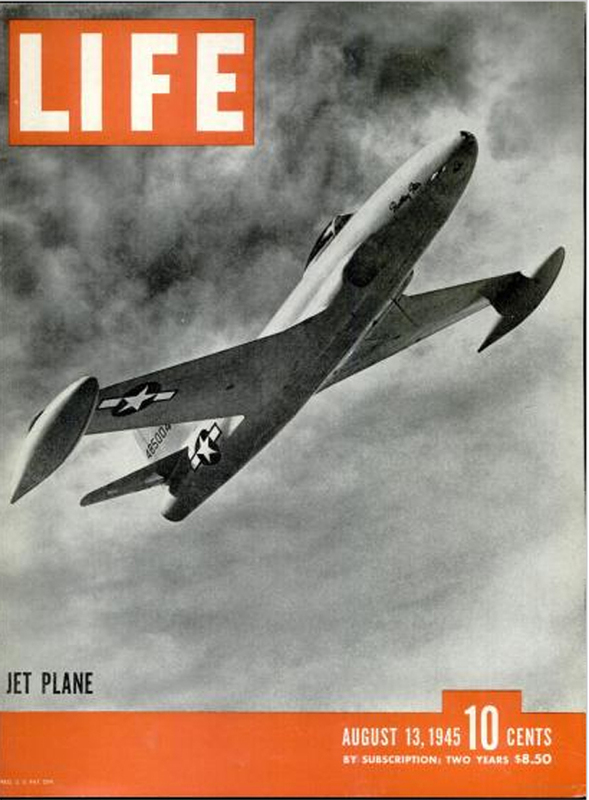 The sculptural form of the P-80 graced the cover of LIFE Magazine on August 13, 1945. You may use this link to read the entire article (it begins on page 50). Alternatively, you can click here to download a ".pdf" of this article. Here is a video about the early days of the P-80. 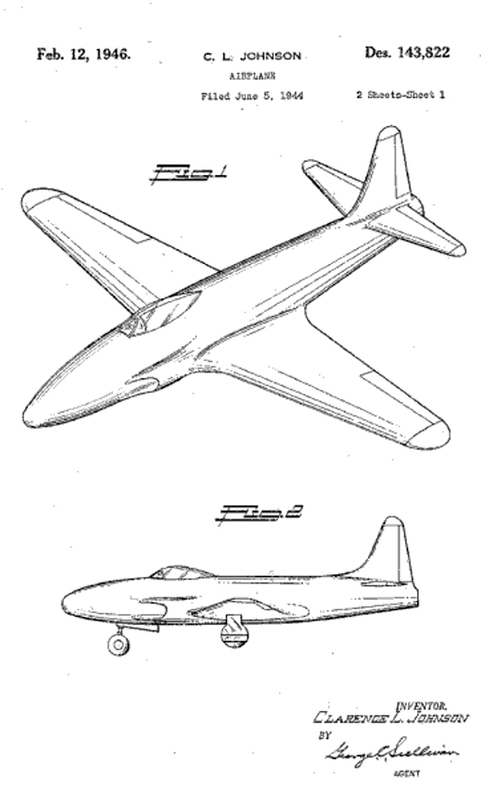 Eventually, the P-80 was developed into the F-94 "Starfire" the first all-weather jet night fighter. 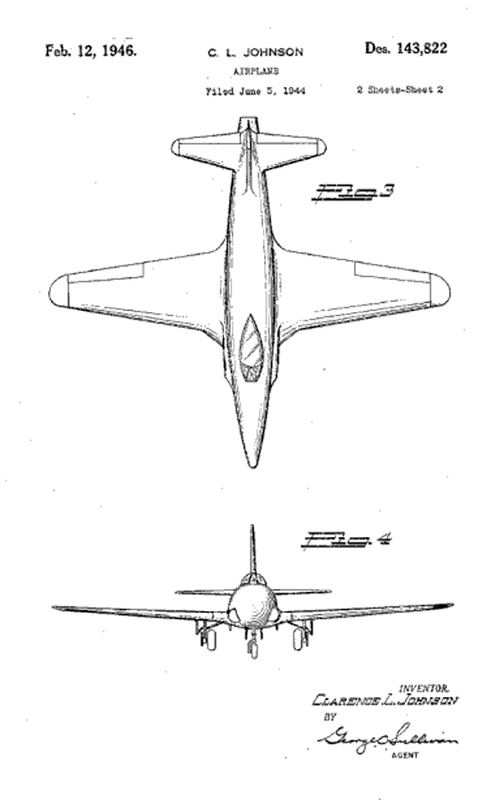 The photos and drawing below show the similarity between the P-80 and the F-94. 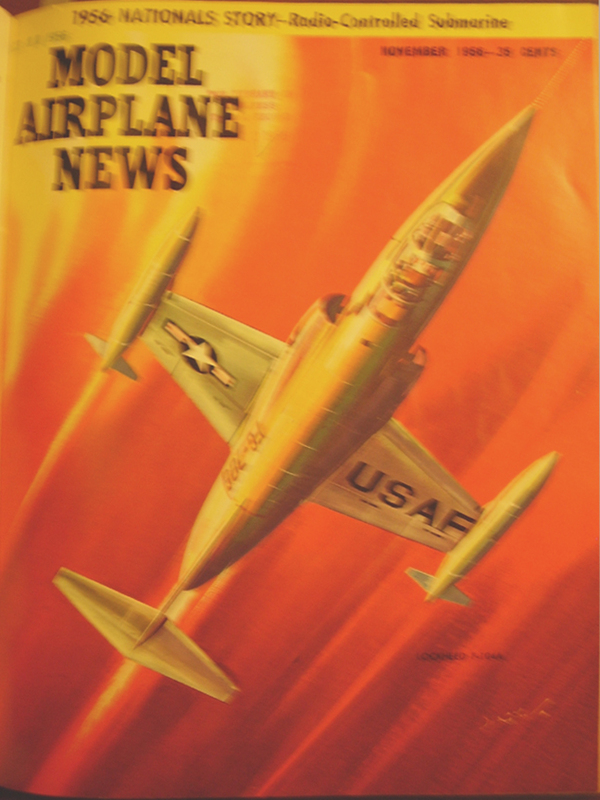 Click Here for more information about Lockheed P-80. The Lockheed C-130 Hercules is a four-engine turboprop aircraft that serves as the main tactical airlifter for military forces worldwide. Capable of landing and taking off from short or unprepared runways, it was designed as a troop transport and cargo aircraft, but is now also used for a wide variety of other roles, including airborne assault, weather reconnaissance, aerial refuelling, aerial firefighting and MEDEVAC. 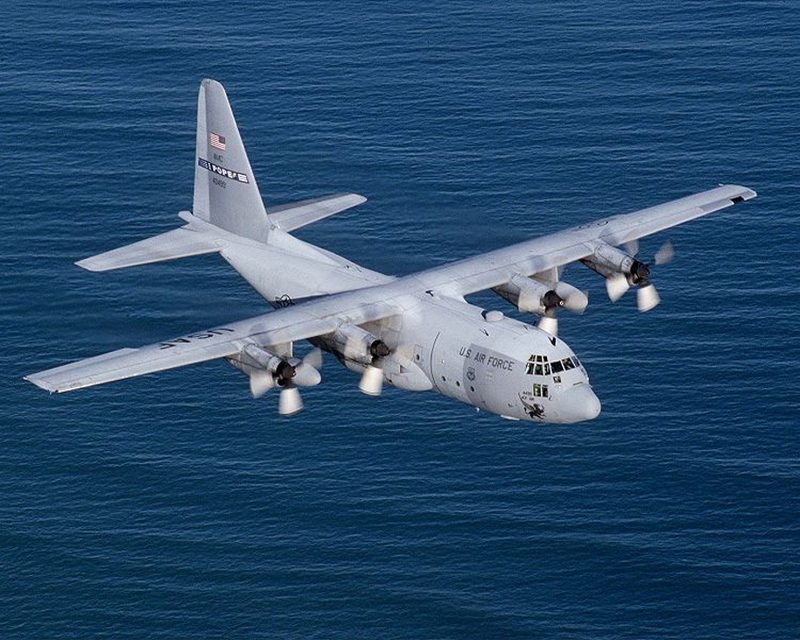 More than 40 different models of the Hercules � including several gunships � are used by more than 50 nations. The C-130 family has the longest continuous production run of any military aircraft in history. During more than 50 years of service, the family has established a solid record of reliability and durability, participating in military, civilian and humanitarian aid operations. Click Here for more information about the Lockheed Hercules. The Lockheed F-104 Starfighter was an American single-engined, high-performance, supersonic interceptor aircraft that served with the United States Air Force (USAF) from 1958 until 1967. 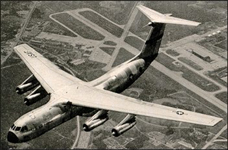 It continued in service with Air National Guard units until it was phased out in 1975. USAF F-104Cs saw service during the Vietnam War, and F-104A aircraft were deployed by Pakistan briefly during the Indo-Pakistani wars. Republic of China Air Force F-104s also engaged the People's Liberation Army Air Force over the disputed island of Kinmen. Here is a great video showing some good closeups of the F-104. 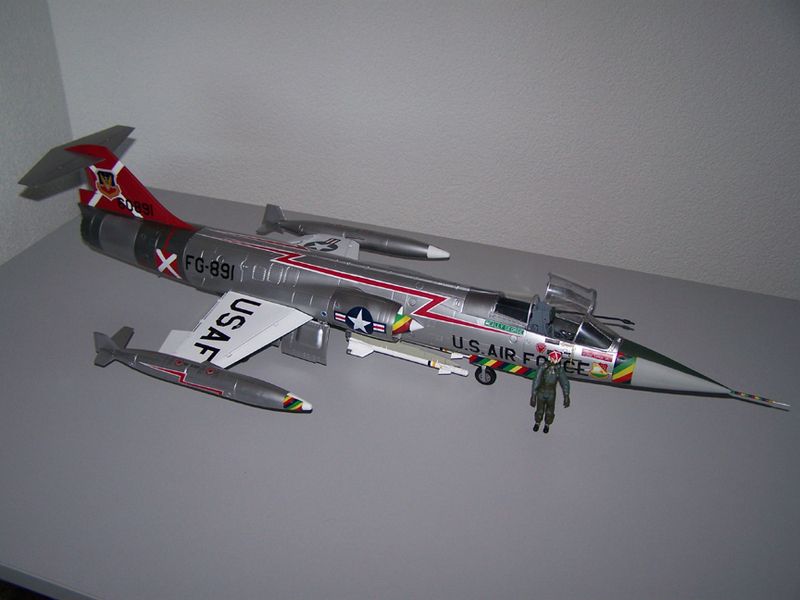 ">Click Here for more information about the Lockheed F-104 "Starfighter". To meet a US Air Force requirement for an 'off-the-shelf' high-performance light transport, Lockheed developed the Lockheed 1329 JetStar, clean low-wing monoplane with swept wings and swept tail surfaces. 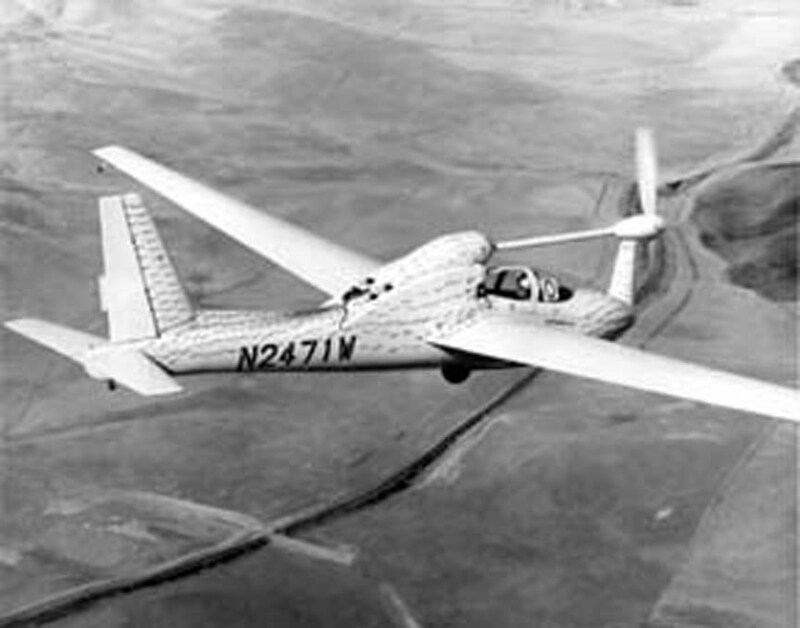 The first of two prototypes was flown on 4 September 1957, with flight testing proving satisfactory. The anticipated military demand failed to materialise in any significant numbers, with the result that the majority of the 204 JetStars that were built, before production ended in 1980, were sold as business/executive aircraft. Here is a video about one of the few JetStar planes still remaining in commercial service. Click Here for more information about the Lockheed JetStar . 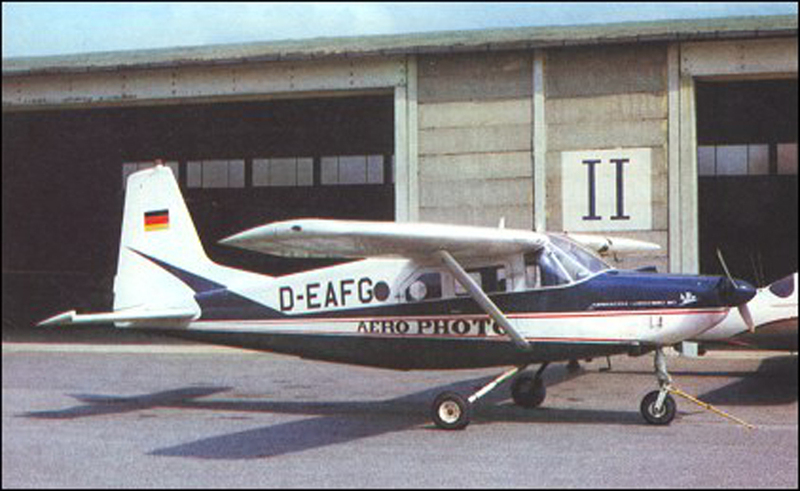 During the late 1950s the Lockheed Georgia Company, ( Marietta, Georgia) made a rare venture into the general aviation market with a light utility transport aircraft aimed specifically at South American operators. The one and only American-built prototype Lockheed AL.60 made its maiden flight on September 15, 1959. 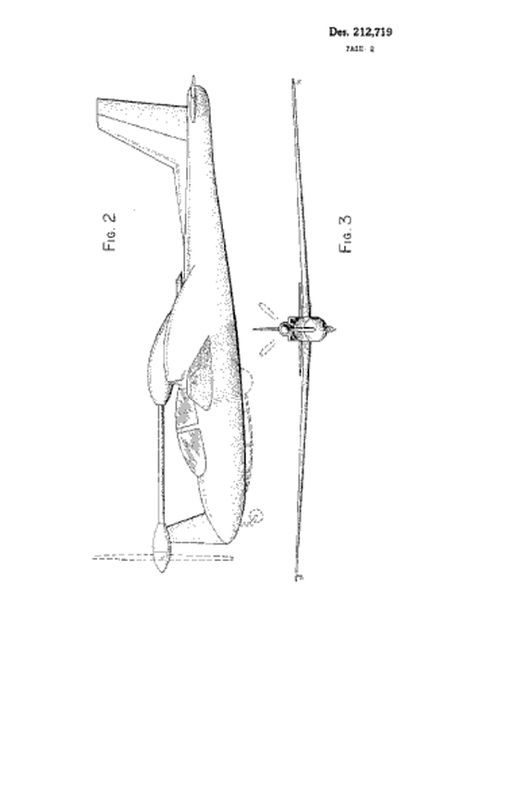 It was a boxy, robust, all-metal high-wing monoplane with a wide square cabin which could quickly be changed from passenger to all-cargo configuration, and tricycle landing gear which could be replaced with skis or floats for bush flying. 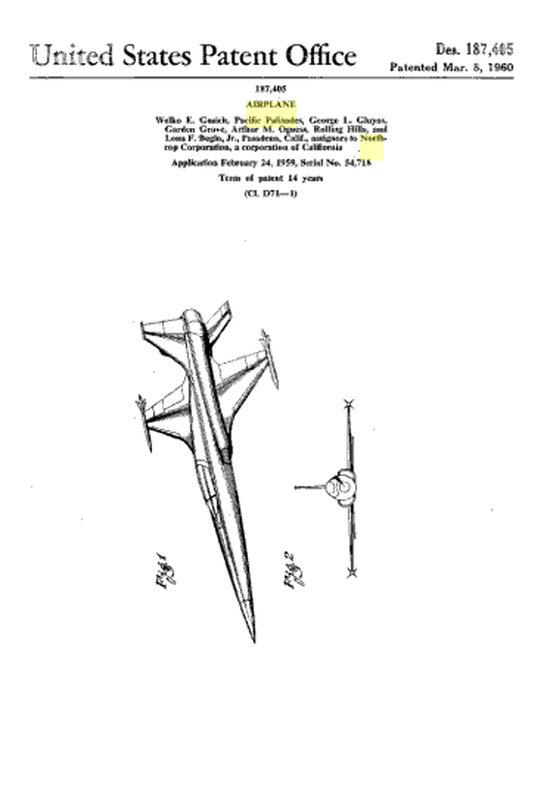 Patent Diagrams for the AL.60 "Conestoga"
Click Here for more information about the AL.60 "Conestoga" . The Lockheed C-141 Starlifter is a military strategic airlifter in service with the United States Air Force. 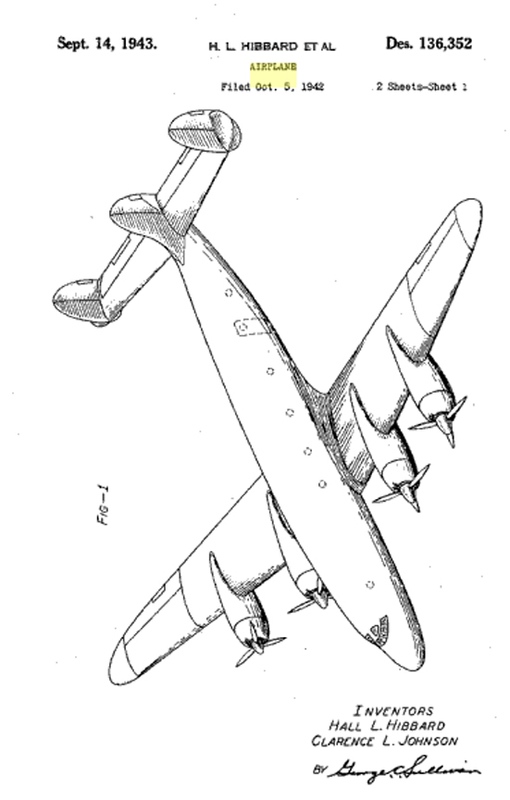 Introduced to replace slower piston-engined cargo planes such as the C-124 Globemaster II, the C-141 was designed to a 1960 requirement and first flew in 1963; production deliveries of an eventual 248 began in 1965, and the aircraft is still in service almost 40 years later, although the USAF plans to withdraw the C-141 from service in 2006 when sufficient C-17 Globemaster III aircraft are available. The original Starlifter model, the C-141A, could carry 138 passengers, 80 litters for wounded, or ten standard 463L pallets with a total of 62,700 pounds of cargo. 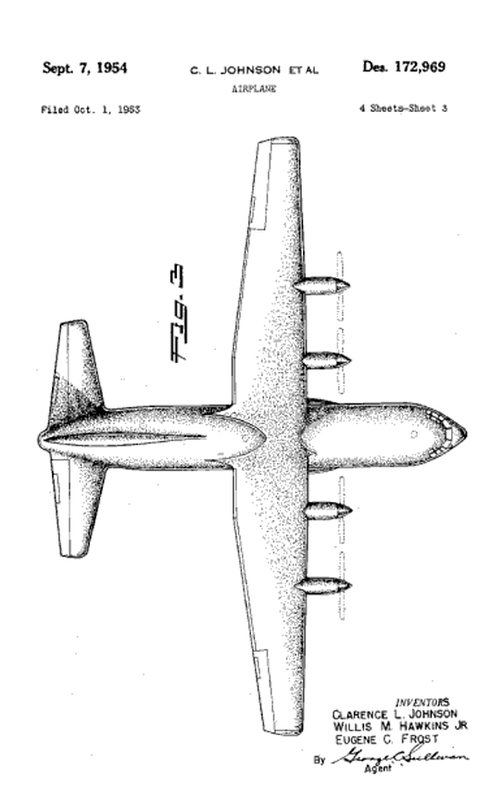 The C-141 could also carry a Minuteman missile. 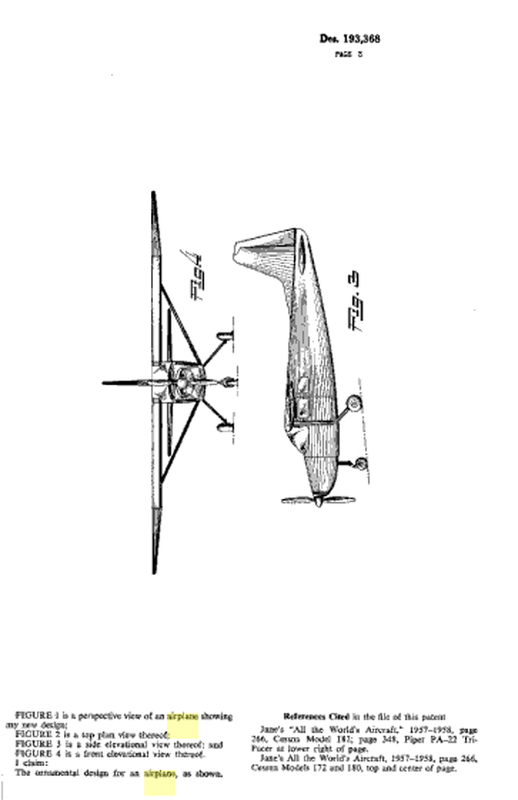 It was soon discovered that the aircraft's volume capacity was relatively low in comparison to its lifting capacity; it generally ran out of physical space long before it hit its weight limit. 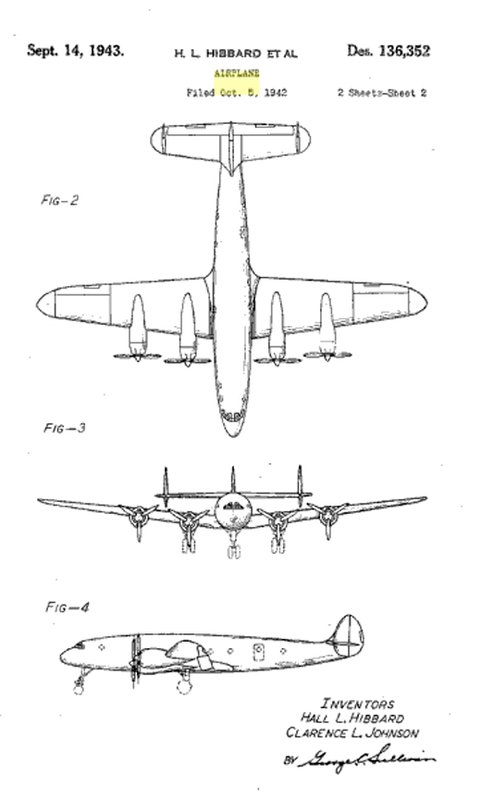 To correct this and use the C-141 to the fullest, the whole fleet of aircraft were stretched, producing the C-141B. Additional 'plug' sections were added before and after the wings, lengthening the fuselage by 23 ft 4 in and allowing the carriage of 103 litters for wounded, 13 standard pallets, 205 troops, 168 paratroopers, or an equivalent increase in other loads. Also added at this time was a boom receptacle for inflight refueling. 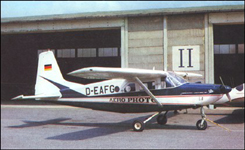 The conversion program took place between 1977 and 1982. It was estimated that this stretching program was the equivalent of buying 90 new aircraft, in terms of increased capacity. 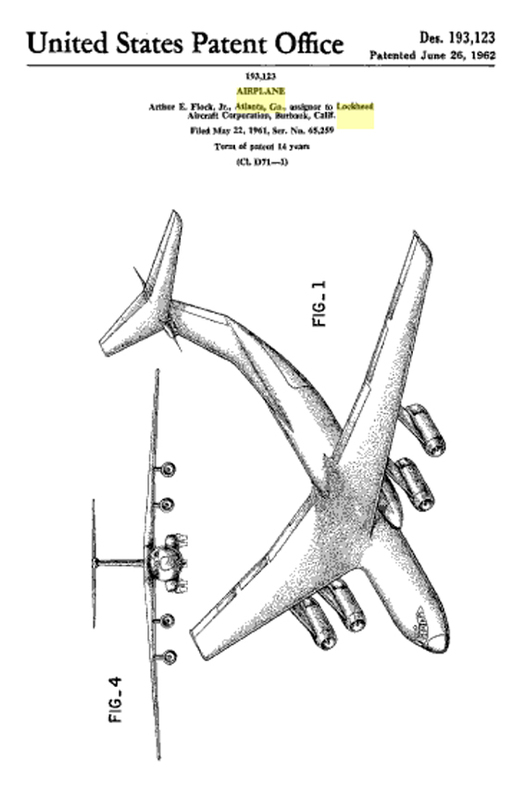 Patent Diagrams for the C-141 "Starlifter"
Here is a video of the Starlifter taking off. 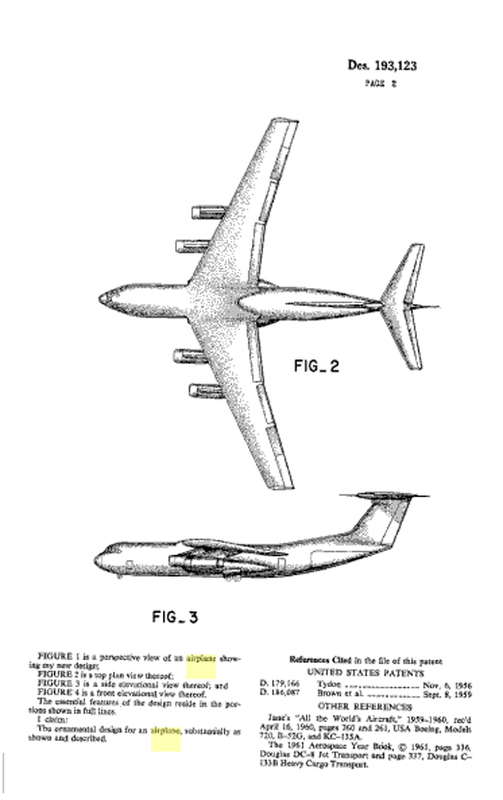 Click Here for more information about the Lockheed C-141 "Starlifter" . By the mid 1960�s the USA was becoming increasingly bogged down in the conflict in Vietnam. Despite their overwhelming firepower and complete superiority in every kind of weapons system, US forces were always having great difficulty in identifying the precise location of significant numbers of Viet Cong to actually attack. The Viet Cong were well aware that they simply could not complete in a conventional war against the might of the US forces, so they relied on hit and run tactics and then melted back into the thick, almost impenetrable jungle before heavy supporting weapons could be directed onto their location. A number of aircraft were used to try and identify the location of Viet Cong formations, such as the O-1 Bird Dog, a military version of the Cessna 170, but these aircraft could easily be heard approaching Viet Cong positions, giving them plenty of time to either disappear or get ready to direct weapons at the slow-flying aircraft. After a number of Cessna O-1 Bird Dogs were lost to ground fire, faster aircraft were used in this role, but this only tended to increase the level of audible warning and the greater speed made actually spotting the Vietcong even harder. 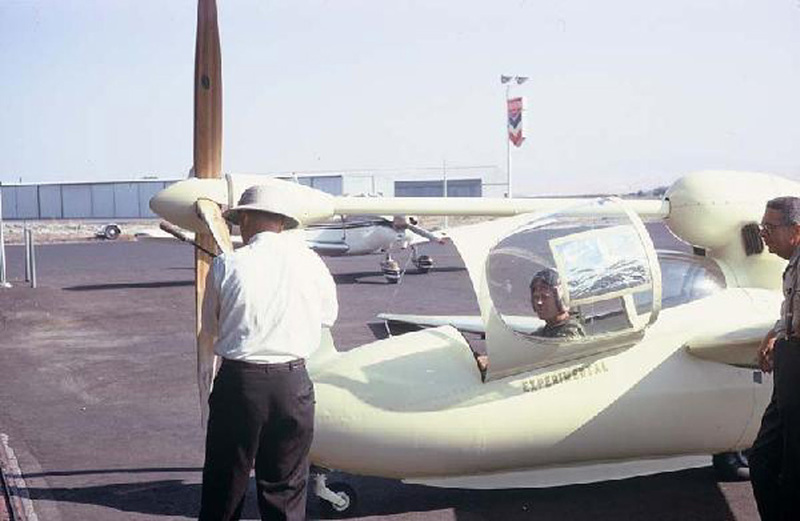 In 1968, under Operation Prize Crew, both QT-2s were shipped to Bien Hoa, a Special Forces air base northeast of Saigon, for the next phase of the operational testing which proved even more realistic than anyone could have imagined. Whenthe Viet Cong launched the Tet offensive and during the intense fighting the QT-2 operated successfully at night without alerting the Viet Cong. 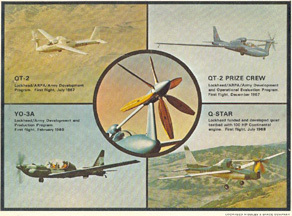 Click Here for more information about the Lockheed QT-2 "Q-Star". 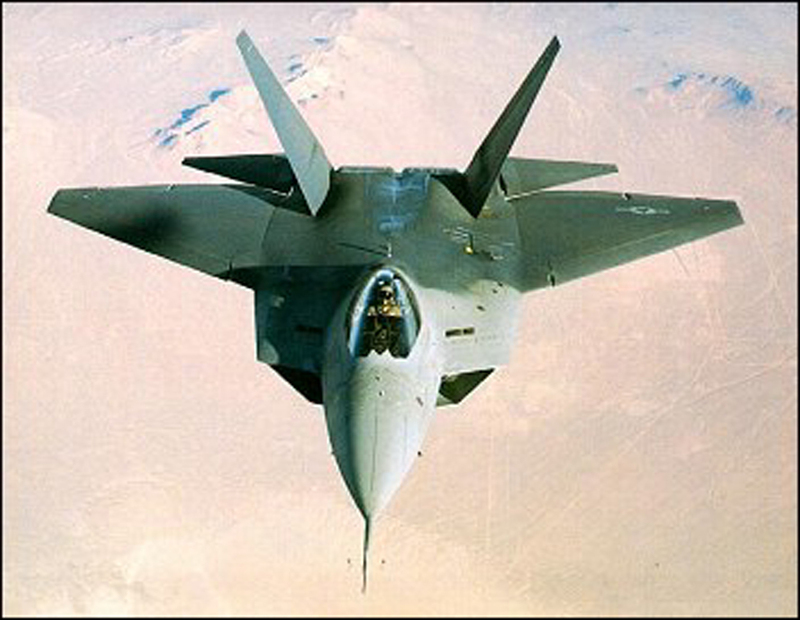 The Lockheed Martin/Boeing F-22 Raptor is a fighter that uses stealth technology. It was designed primarily as an air superiority fighter, but has additional capabilities that include ground attack, electronic warfare, and signals intelligence roles. Lockheed Martin Aeronautics is the prime contractor and is responsible for the majority of the airframe, weapon systems and final assembly of the F-22. The high cost of the aircraft, a lack of a clear air to air combat mission, a US ban on export of the Raptor, and the cheaper and more versatile F-35 resulted in calls to end F-22 production. In April 2009 the US Department of Defense proposed to cease placing new orders. President Obama signed the national defense authorization act for fiscal 2010 in October, without funding for F-22 production. 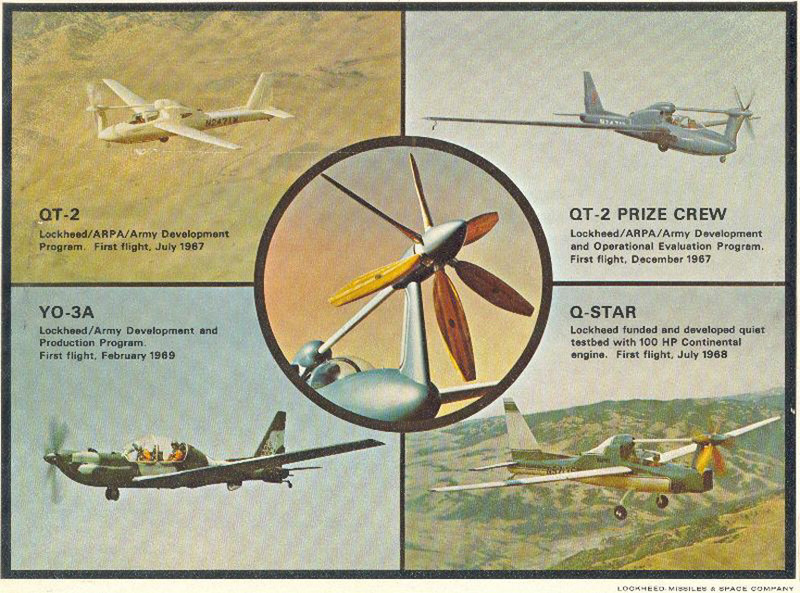 Here is a promotional video for the Rapto, made by the Lockheed-Martin Company. Click Here for more information about the Lockheed F-22 "Raptor" .